If you are a makeup hoarder just like me, you know the struggle that you have to go through every morning looking for things and finally you find yourself rushing to leave the house. You always dream of having enough space which can keep all the stuff organised and can save you all that time every morning. 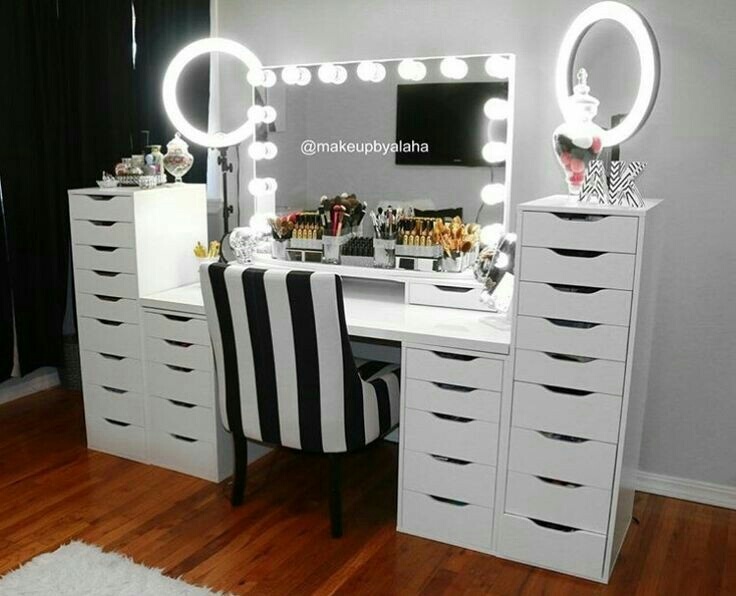 I gave it a serious thought and decided to get myself a vanity which I have always dreamt of. I decided to give myself enough time in planning it. 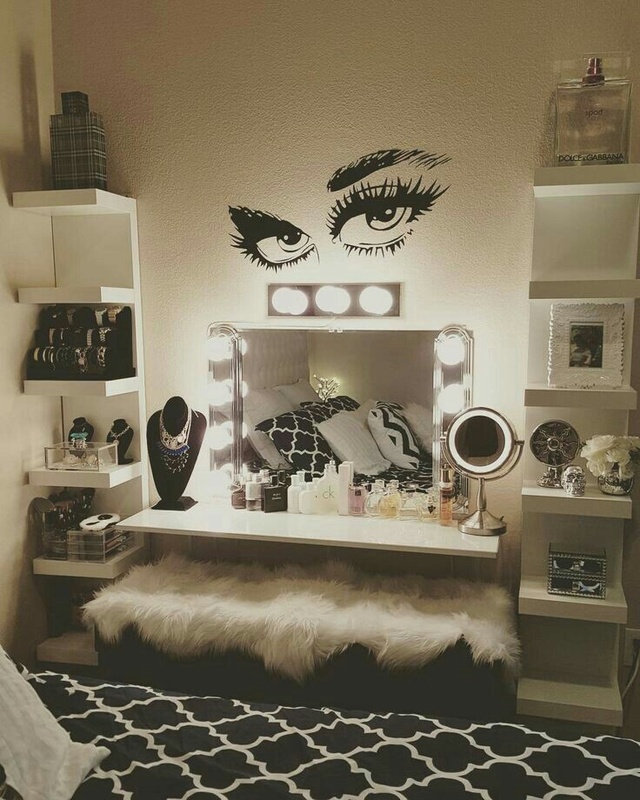 Afterall it’s my dream vanity and I can’t miss even the smallest possible thing. 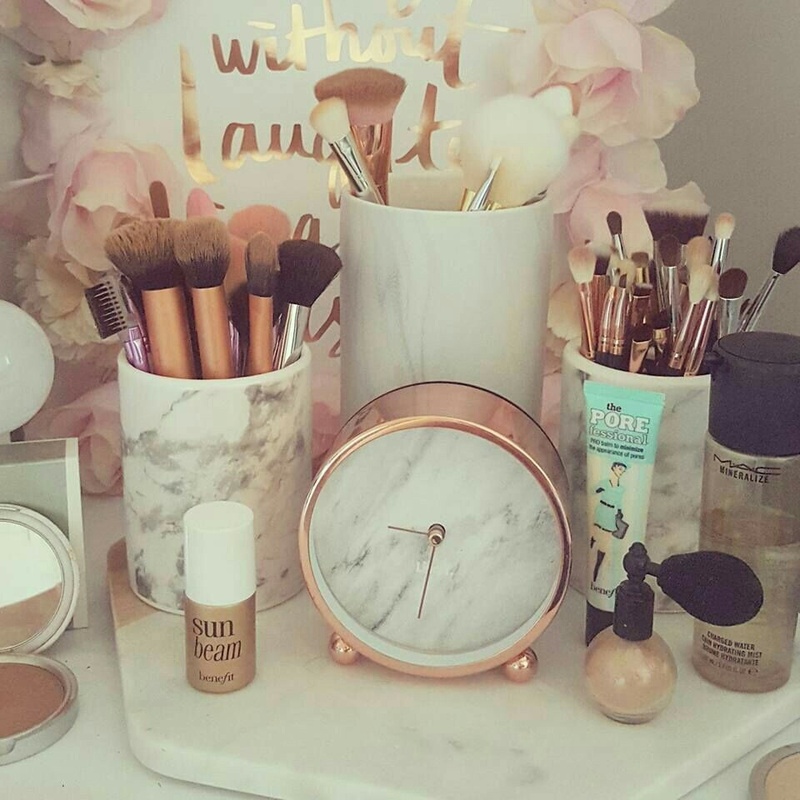 So I have divided this post into parts to describe the most important factors that you need for your perfect vanity space. 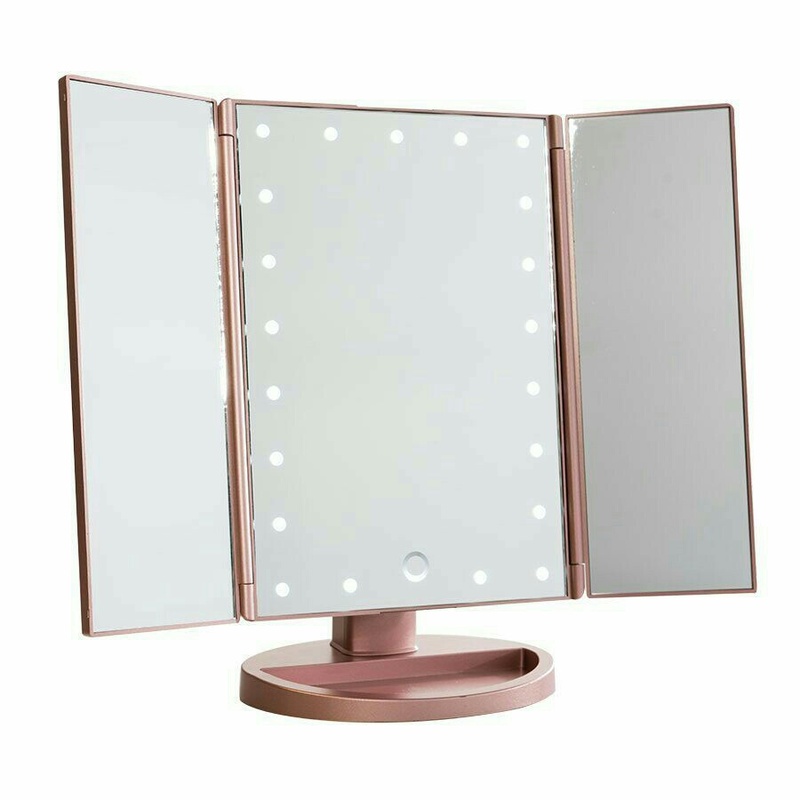 Color: When I think of my dream vanity, the only colors that come to my mind are white and rose gold. I love how these two colors compliment each other and create something more than magical. I wish to have a white desk with rose gold pieces of decoration. Chair: Let’s be real here girls. We all have to agree that when we begin to put on makeup, it is difficult to stop us. Especially when we have enough time in our hands. We want to look our best and in that endeavour we end up spending hours in front of the mirror. Having a comfortable chair to sit on is very important. You definitely don’t want to be uncomfortable when you are doing something that you love so much. And no one likes those back pains either. I prefer a spinning chair with adjustable height. It gives me more flexibility in order to reach out to everything that I may need during the process. 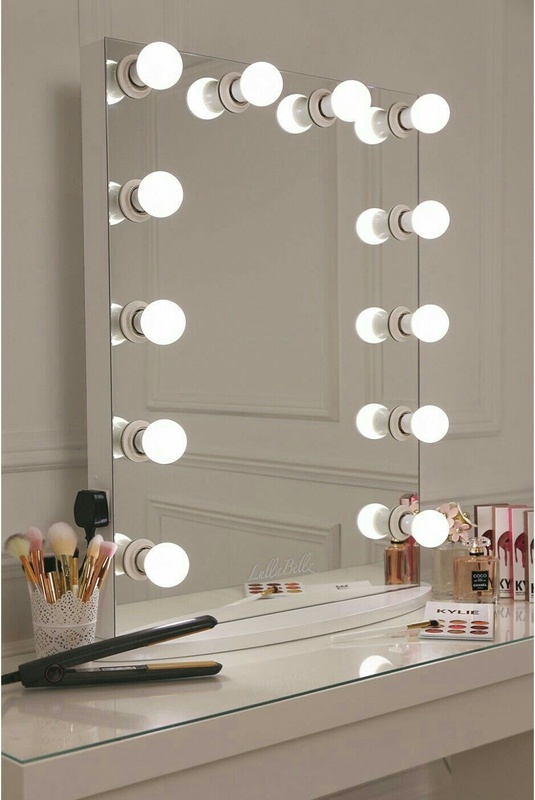 Mirror: Mirror is ofcourse the most important thing that you will need while doing your makeup. I love Hollywood mirrors. 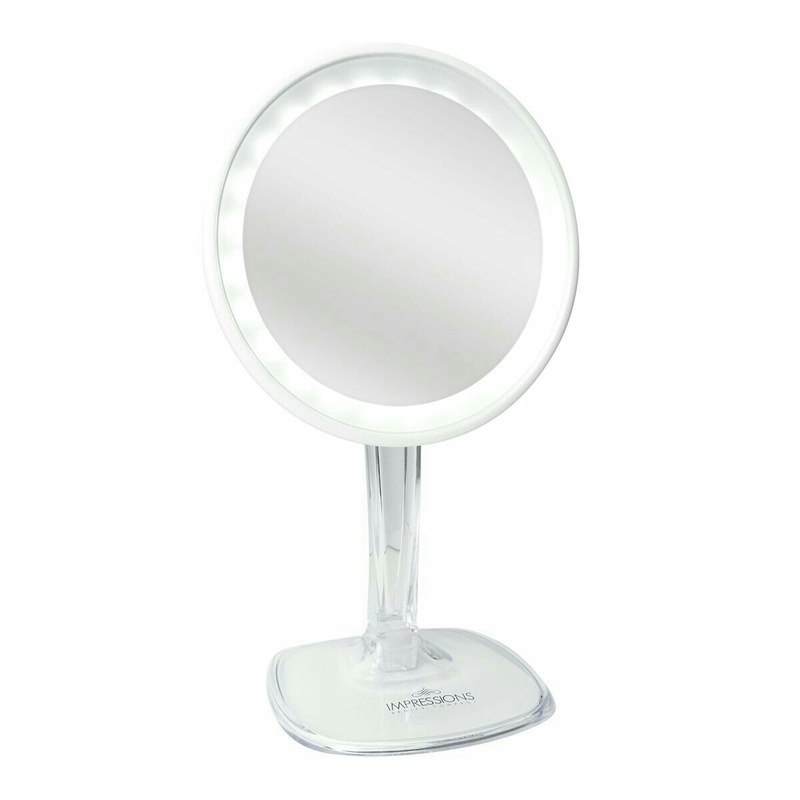 The LED makeup mirrors works extremely well when you need to work closely and precisely. 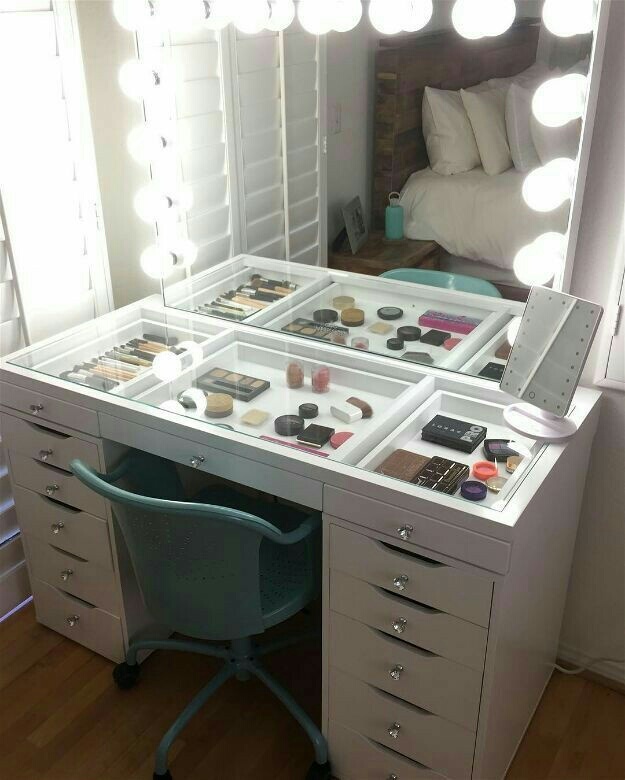 Storage: The whole idea behind having a vanity is to get organised. 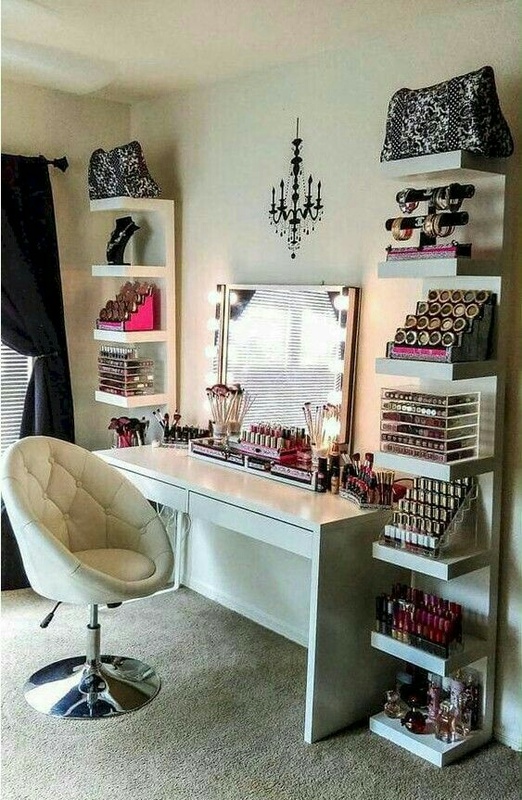 I would want all my makeup to be easily accessible so that I don’t mess around looking for a particular thing. Lighting: Apart from makeup I am absolutely obsessed with lights. I have fairy lights put all over my house. They just create something beyond magical. Not only that, while putting makeup it is extremely important to have proper lighting so that there are no visible lines on the face and everything looks flawless. 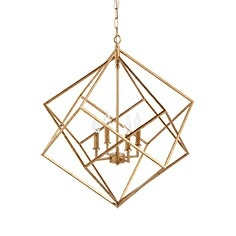 Decoration: I would hang some pretty rose gold chandelier lights. Also rose gold baskets which would look beautiful sitting on top of the white desk. These baskets can also store makeup items that are most frequently used. Few pretty photo frames would add up in making it more personal. 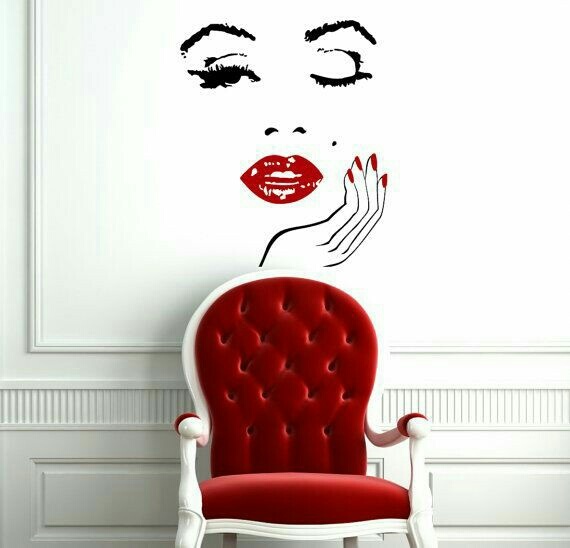 I also love wall stickers like the ones you can see in below pictures. 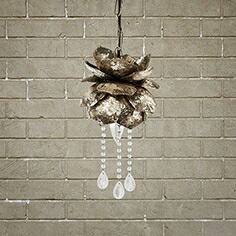 I browsed through Arhaus website and they have some really good chandeliers, pendant lights and lamps. Go check out yourself! 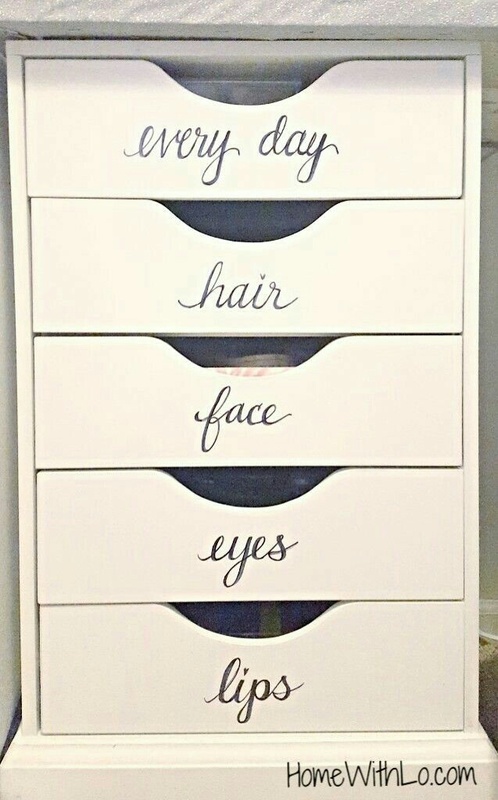 I hope you all liked this post and it gave you some ideas on how you can design your vanity. Get going girls! How to get a perfect Red Pout?